For more than 25 years we’ve been helping remove pain and discomfort from people’s lives. Our patients trust in our expertise, which is why 98 percent would recommend us to a friend – because we were able to help make their lives better. 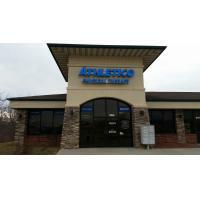 – Athletico Physical Therapy, Better for Every Body. Everything we do is focused around our core purpose of enhancing people’s health and quality of life. When you choose us for your rehabilitation needs, you will discover our dedication to exceptional, compassionate care.